iPad rentals are a great fit more marketing and branding campaigns for their mobility, their sleek, space-saving design and their high resolution attractiveness, especially considering we always keep the latest models in stock. An iPad rental for survey administration makes perfect sense. Survey applications are very popular and powerful tools in gathering information for marketing purposes. Because iPad rentals are so thin and lightweight it makes it very easy to commute an area, and to enter the relevant data into a database in an instant. Combining this portability with an internet or Wifi hotspot rental, your company need not worry about getting access to the convention center’s Wifi and competing to get a signal with all of the other attendees. Now you can instantly upload your data and get information when you need it. 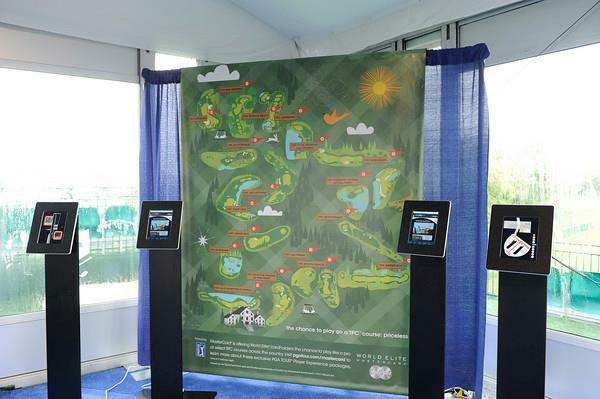 iPad rentals are also a great tool in attracting traffic to your trade show booth. With simple touch screen interfaces, iPads are engaging and interactive. When combined with standing kiosks, the iPad can be a great addition to your booth. 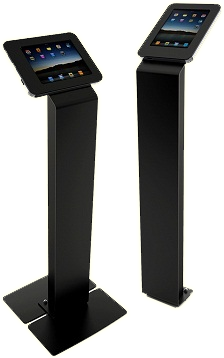 iPad kiosks are great for trade shows and conferences, where there is a need for self-service technology. Instead of a computer based kiosk, iPad kiosk rentals are more affordable and easier to set up. iPad kiosk enclosures securely encase the iPad to enable public use of the Apple iPad device without fear of theft or damage. You have the ability to book your iPad rentals ahead of time just like a flight or hotel reservation, so that you can install your own custom applications. Rentacomputer.com can install your custom applications for you so that when you receive your iPad rental, you are all set with your desired apps. 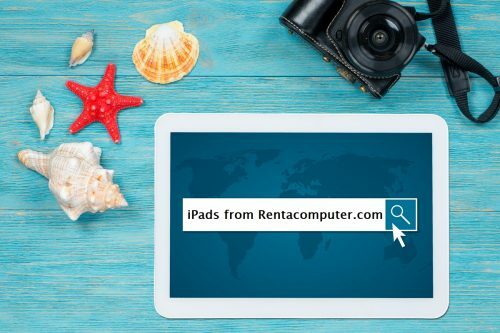 Renting iPads is easy, especially with a Tech Travel Agent from Rentacomputer.com. The winter season is an excellent time to rent iPads while inventory is at its highest. Just like hotel rooms and the stock market, when quantity is high or demand is low, prices stay low. Right now, iPads are going around 20% below the normal peak season rate. We even include ground shipping on most orders. The latest iPads, including the iPad Pro, are available for rental and are equipped with the latest updated version of iOS. You can rent a model with 4G access or pair it with a Wifi Hotspot rental in order to connect multiple iPads without the need for multiple 4G subscriptions. New to using technology in your events? Our experts can help guide you to the event equipment rentals you need to make your meetings and events a success. No matter where your event is, Rentacomputer.com can help. Get a quote for all your equipment needs today!